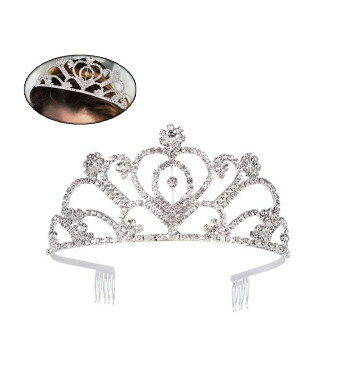 Made from Shining Rhinestones and Quality Alloy material so that you will be look more stunning and elegant when you wear it during the party. Great Features : Beautiful Sparkling Rhinestones that looks like Diamond appearance and High Quality Metal Alloy for Durability to fitting your head sizes and styles. 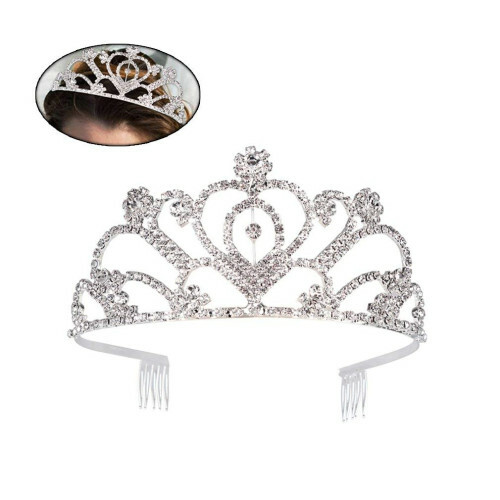 Great for your daily party and any various formal occasions such as Wedding party, Engagements, Birthdays, Proms, Performances Shows, Dance Performances, beauty pageants, and any other formal parties. Compatible for any kind of hair style you have and match with any of your dress gown in perfectly.